The holiday season is upon us, so it’s the perfect time for baking delicious desserts! 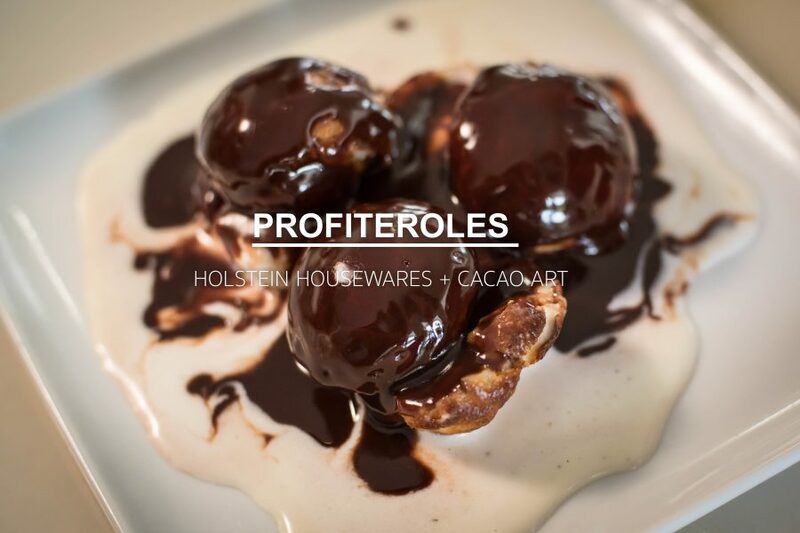 If you’re looking for a rich and mouthwatering treat to satisfy your sweet tooth, these Profiteroles made in our Cakepop Maker are the way to go! These French cream puffs or choux à la crème are a delicious pastry ball filled with whipped cream or custard; however, we are filling them up with creamy ice cream. Elegant and irresistible, Profiteroles are wonderful crowd-pleasers that everyone is sure to love and admire. Most importantly, they are easy to make and even easier to serve since they are bite-sized. Making Profiteroles might be a lengthy process but not when you use our Cakepop Maker….. Get creative, give it a try and you will thank us later! Method: – In a pan, combine water, milk, butter, salt, and sugar – Cook at medium heat until simmering – Add the flour and whisk continuously until the dough comes off the walls of the pan – Remove from heat and add eggs. Whisk until well-combined – Pour in Holstein’s Cakepop Maker and bake for 10 minutes or until fully cooked – Slice them in half and sandwich with vanilla ice cream. Top with hot fudge sauce for a decadent bite!